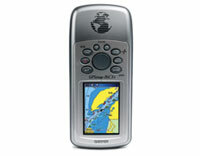 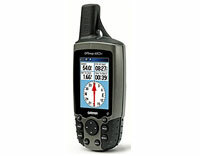 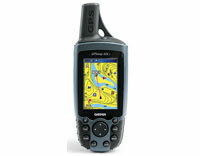 BlueChart: Ireland, West Coast; Regular EU005R (mSD) (010-C0313-00) | Discount GPS Accessories from mysatnav.ie Ireland's leading GPS & Sat Nav store. 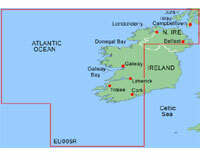 Detailed coverage of the west coast of Ireland from Cork Harbour to Belfast. 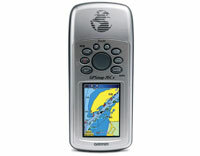 Also covers the Scottish coast from the Isle of Colonsay to Campbeltown Harbour. 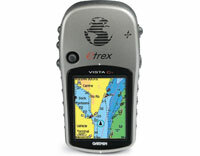 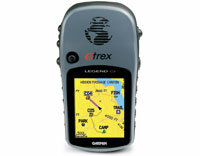 Supplied on microSD card and so is suitable for coloured handheld GPS systems from the eTrex, GPSMAP 60 and GPSMAP 76 series.